High School Students Can Do Astrophysics Too! During her six-week Research Experience for Teachers, Katelyn McCarthy worked with Michigan Tech members of the High-Altitude Water Cherenkov Radiation Gamma-Ray Observatory (HAWC) project. Besides observing research meetings and learning about the project, Katelyn designed three lesson plans that brings particle astrophysics to high school students through the use of inquiry-based activities. Katelyn will discuss her lesson plans, including a demonstration of a $5 particle cloud chamber and a classroom game of "gamma source or no gamma source". 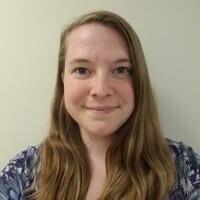 Katelyn McCarthy is a high-school teacher at Lakeview High School in Battle Creek, MI, and a 2013 Michigan Tech graduate (physics major, math teaching minor). She started working with the HAWC group at the beginning of July.